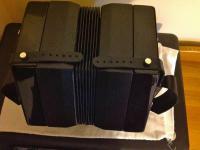 I am selling a Rochelle Anglo, C/G, 30 button concertina from Concertina Connection. I am the original owner and have had this instrument for only a few months. It has hardly been played and is practically brand new. 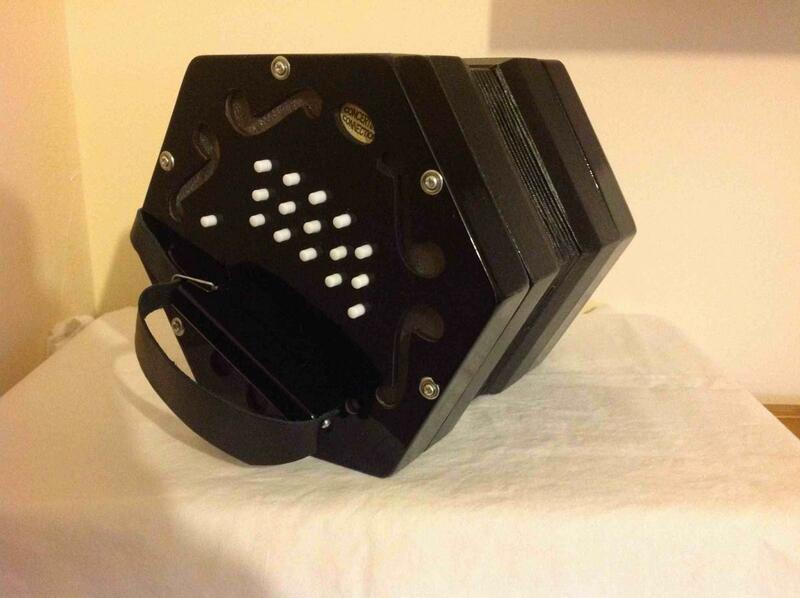 The concertina is a Rochelle Anglo: 30 keys, C/G, with the Wheatstone layout. The concertina also comes with instruction book and hard-shell case. 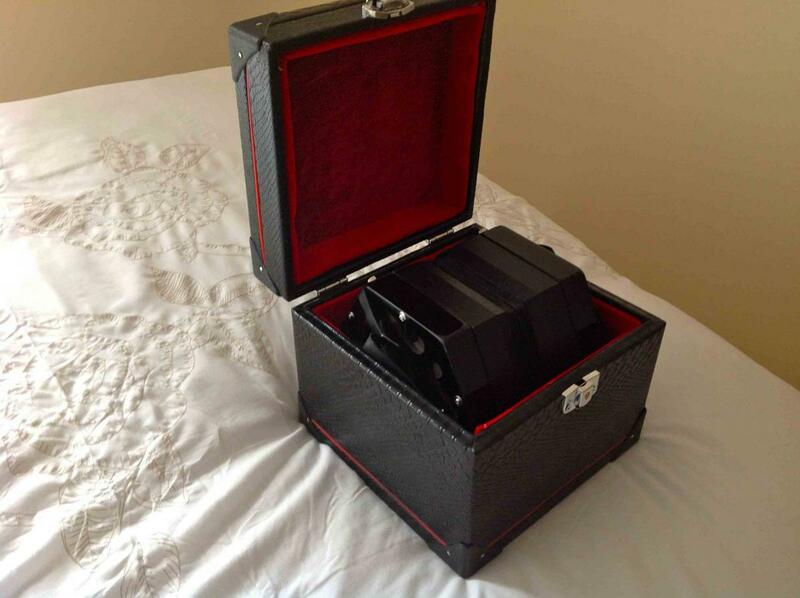 Since I bought the concertina and hard shell case at the same time, I never got the gig bag. For disclosure purpose, I did add a few new holes to the straps to compensate for my small hands. The reason I'm selling the Rochelle is that I recently purchased a Edgley Professional concertina and no longer need the Rochelle. 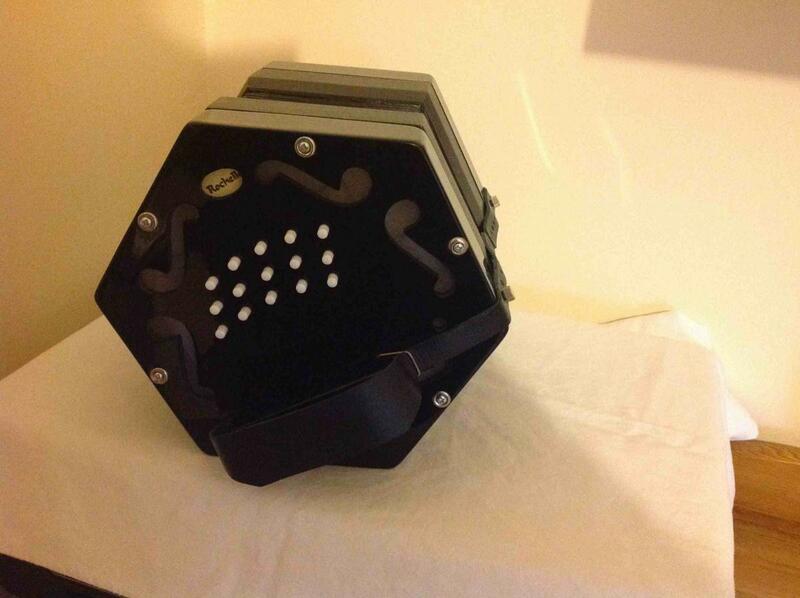 Asking price for concertina is $300 (US dollars) plus shipping. I live in Ireland at the moment. 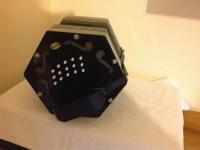 To buy a new Rochelle concertina would cost is $415. To buy the hard-shelled case would cost $50.00. 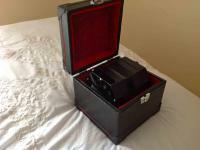 By purchasing this concertina, you are saving $165. Please let me know if you are interested. If a member of this forum buys this concertina from me, I will make a suitable donation to Concertina.net. Is this concertina still for sale? Whats the price in €? Yes, the concertina is still for sale. The asking price would €230. Let me know if you are interested. I'll be glad to answer any questions that you might have about it. Are all the reeds in tune? How can I arrange to view it? I live in Wexford. 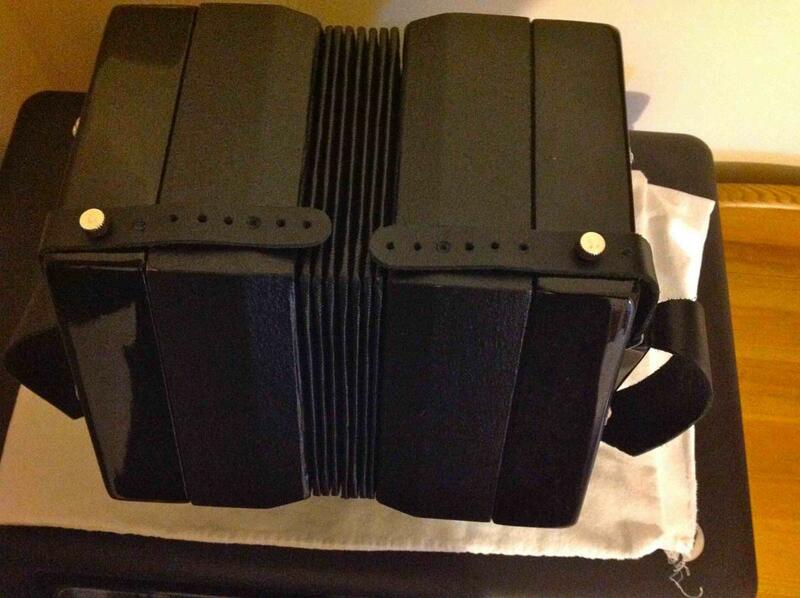 Several hours after I posted a reply to your question, I was contacted by someone, who was interested in the concertina. I have lent the concertina out to this person so she could test it for a few days. I will be out of town for over a week. Because of this, I will not know if she is buying the instrument until I return. After my return, I will let you know if the instrument is still available. Sorry, I don't have better news for you. As far as I know, the instrument is in fine working order. I don't know if you are still interested, but the lady who looked at my concertina decided that she really couldn't afford to buy it at this time. So, the Rochelle is still available. Let me know if you are still interested. Hello! Is it still available? How much would it cost to ship it to Italy? The concertina has been sold.